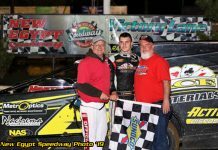 Ryan Watt scored a massive win in the Short Track Super Series opener at the Georgetown Speedway. After 49 laps of hard fought, high speed racing, Watt stood in victory lane with a $6,949 check. Watt lost the lead on lap 12 to Matt Sheppard, but reclaimed it with three laps left. Sheppard and a lapped car both dove to the bottom of the track, leaving Watt a clear lane to the lead. What was going through Watt’s head when the seas parted before his eyes? Just after Watt grabbed the lead back, one last yellow flag flew and reset the field. This meant the lapped traffic that helped Watt get to the lead was now gone, so was Watt happy to see that last caution come out? 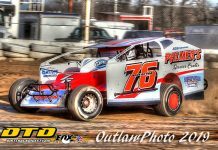 Over the winter, Georgetown Speedway went under a minor reconfiguration. Banking was added to the top of both turns, and turns one and two were widened. Watt had loads of laps on the previous configuration, and compared this surface to previous years. “The banking helps, and it’s something I’ve said before to Brett Deyo two or three years ago,” Watt said. “Friesen and I battled hard for the Beach Blast win a few years back, I was on the top and Friesen was running the bottom. It was a heck of a race, and now it’s kind of back to that. Last year, most of the racing was around the bottom and Brett knew that, but there was nothing he could really do in the middle of the year with his hands tied. He couldn’t make it any better until this winter when he dumped a lot of clay out here and put that banking up there. If you didn’t attend either race on this weekend, it only took one photo of the bundled up crowd to see how cold it was. Early in the day on Saturday, cars were packing the track during a light snow. Does it get cold inside a relatively exposed Modified cockpit with these temperatures? Watt said both yes and no. Cold temperatures, but hot action on track. 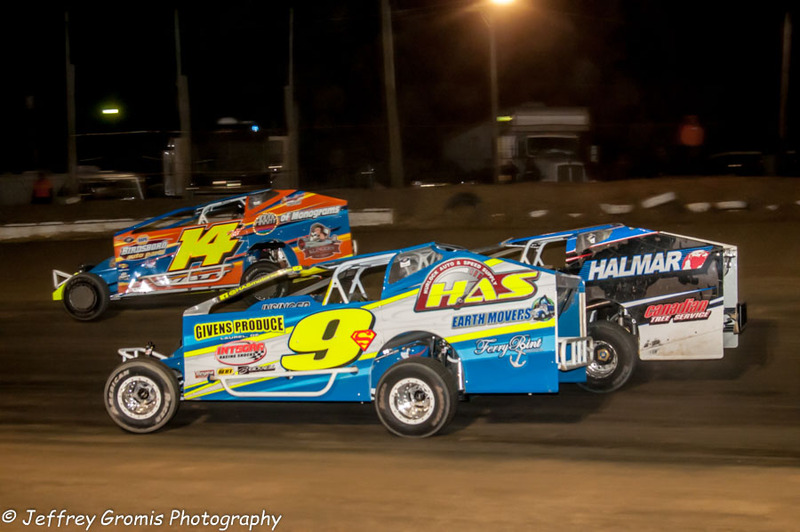 Speeds on the big half mile were lightning quick with drivers nearly wide open on the cushion. Obviously, the faster a car is going, the more the air going over it matters. We always hear how big of an issue clean air is in NASCAR, winged Sprint Cars, and now even Late Models. On a track as fast as Georgetown, how big of an issue is clean air? Ryan Watt will take his #14w back to Pennsylvania with a big check and a cool trophy, hoping to carry his hot start through the coming months.